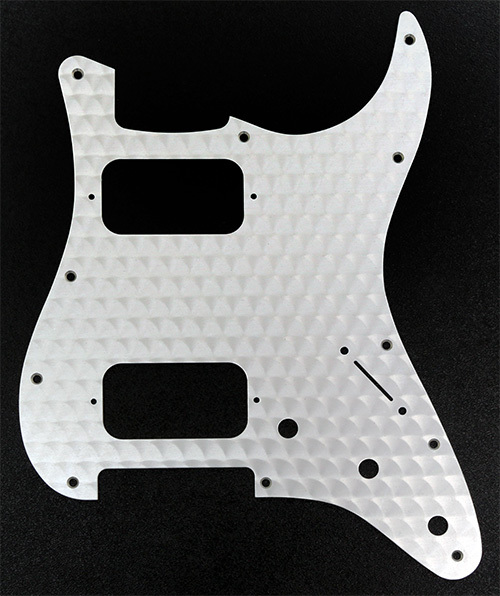 Genuine Fender® HH)Stratocaster, Engine Turned Aluminum, Clear 1 ply standard 11 mounting holes. Both Humbucker pickup cut-outs are for Humbuckers without metal covers. 2 hole mounting for each pickup. Will fit just about any Strat® that uses the standard 11 hole mounting pattern and that has its body routed for 2 Humbucking pickups.